Kara Kuzhambu is one of my favorite dish and adding vepampoo (dried neem flowers) to it makes the dish more tastier. Vepampoo has myriad of benefits and is perfectly suitable for all age groups. 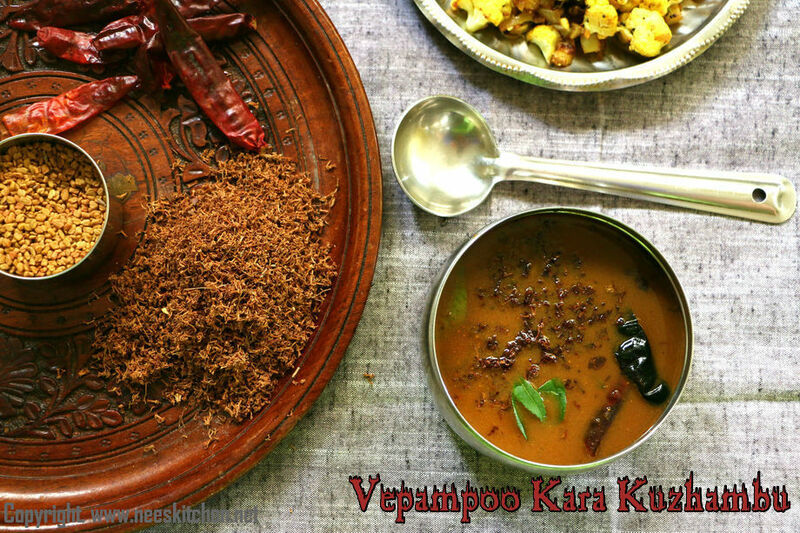 I generally include vepampoo weekly once in any one of my dish as it has antibacterial, anti-parasitic, anti-fungal, anti-inflammatory, and analgesic properties. This dish does not show the bitterness of neem flower if cooked properly. 1. Chop the garlic. Make tamarind juice with water. 2. Take a pan and temper the items mentioned in “Temper 1” table in the order given. 3. Chop the garlic and add it. Sauté for 2 mins. 4. Add small onion and Sauté until its fried nicely. 5. Add Turmeric powder, sambar powder, coriander powder and salt. Mix well. 6. 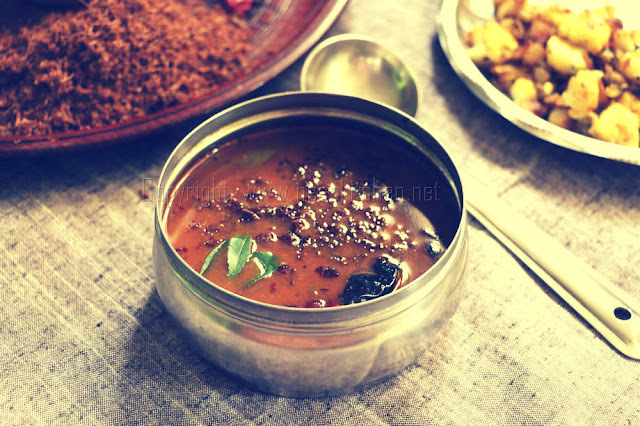 Add the tamarind juice ,remaining water and curry leaves. 7. Let it cook nicely until thick. 8. Take a small pan and add oil & neem flowers and roast it. You may dry roast this also. 9. Switch off the Kuzhambu gas and add the neem flowers. 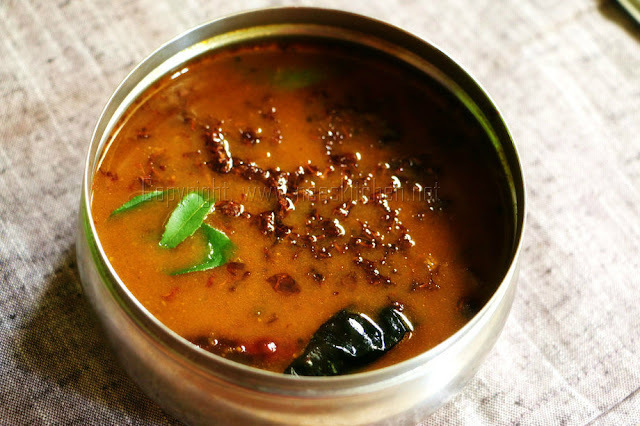 Vepampoo Kara Kuzhambu is ready to be served. The neem flower should be garnished at the end only and should not be cooked along with the gravy. You may dry roast the neem flowers also. Tastes good if this is prepared overnight and served the next day.